Candidate Statement: For the past five years, I’ve served as the Chair of Astronomy at Boston University (BU). Prior to becoming Chair, I served as the Director of BU’s Institute for Astrophysical Research (IAR) for six years. 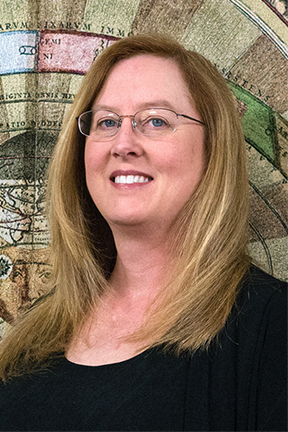 Through these two leadership positions, I’ve been deeply involved with addressing many of the major challenges that are currently faced by professional astronomers. My most significant accomplishment as IAR Director was working with BU’s administration to build a strong case for the university to invest $10M in a partnership with Lowell Observatory for perpetual use of the 4.3m Discovery Channel Telescope. To date, my most significant accomplishment as Chair of Astronomy has been to shepherd the department through its first comprehensive, external academic program review. As a profession, we are entering into the most remarkably data-rich period we’ve ever experienced. Our newest and near-future facilities will revolutionize all fields within astronomy. At the same time, it continues to be harder and harder to obtain the funding that is needed to carry out the research itself. This can be deeply discouraging, not just for the youngest members of our profession who have not yet established their own independent careers, but also for those with long-established careers. As a member of the new AAS governing board, I would work with the AAS to support and foster the research careers of all members of our professional society. Despite the institution of AAS agents as interlocutors between the AAS and its members, there remains a significant portion of our membership that feels largely disconnected from the AAS. Our Society is poorer for the lack of engagement of so many of our members. This is something that the AAS must continue to actively work to improve so that membership in the AAS brings with it meaning, pride and a sense of responsibility to the Society. As a member of the new AAS governing board I would work with the AAS to build stronger bridges between the Society and its members, so that the AAS can serve its membership more effectively.